New septic tank rules were introduced on the 1st January 2015 by DEFRA and the Environment Agency. 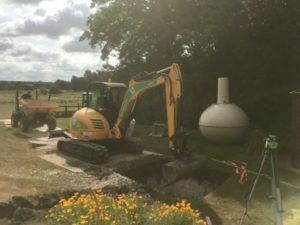 These new septic tank rules have been introduced to simplify the way septic tanks and small sewage treatment plants are regulated, and are referred to as ‘The General Binding Rules’. These rules set out the conditions that septic tanks and small sewage treatment plants need to meet in order to be used without an Environmental Permit. If the conditions of the General Binding Rules are not adhered too, then the owner of the system would need to make an application to the Environment Agency for a Permit, or upgrade / replace the existing system to make it compliant. The majority of people who own a sewage treatment system and to a lesser extent a septic tank will most likely find they do not need to do anything, apart from checking their system complies with the requirements of the General Binding Rules. However, for situations where a system does not comply with the new rules, such as a septic tank discharging to a ditch or stream, it will be necessary for the system to be upgraded or replaced before 1st January 2020; this being the deadline for complying with these new septic tank rules, or when the property is sold if it is before this date. One of the main reasons why these new septic tank rules have been introduced is it to reduce the level of pollution from septic tanks into the nation’s watercourses. As such, the Environment Agency is aiming to end the practice of septic tanks discharging directly to watercourses and the resulting pollution. Installing a Mantair septic tank conversion unit within the existing tank to upgrade the system. This option will require an application for a Permit from the Environment Agency and once issued will enable a discharge to a watercourse to continue. Not sure if your drainage system will comply with these new septic tank rules? 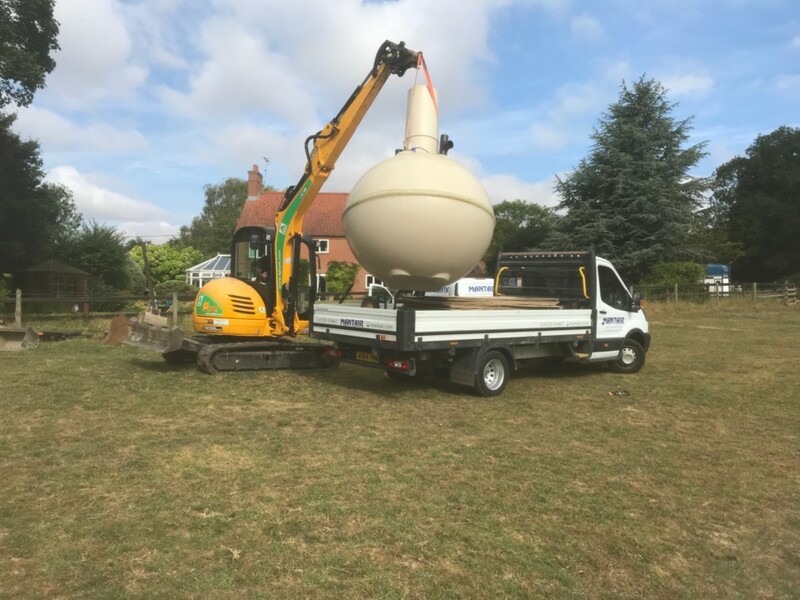 Then give us a call on 01255 853890 or contact us here and we will be happy to help, and if needed, visit you to assess your existing septic tank. In rural areas and other parts of the Country where there is no public sewer, households and other property owners would usually dispose of their sewage by using septic tanks or small sewage treatment systems. The treated effluent is then discharged either to ground through the use of a drainage field (soakaway) or into a watercourse if using a sewage treatment system. The Environment Agency measure discharges by their volume and if a discharge to ground is under 2M³ per day, or 5M³ per day to a watercourse, this is known under environmental legislation as a small sewage discharge (SSD). The risk of pollution from small sewage discharges is usually low provided the septic tanks or small sewage treatment systems are properly maintained and regularly emptied / desludged. However, if septic tanks and small sewage treatment systems are not properly maintained or incorrectly installed or used, this can result in pollution of watercourses, odour nuisance and a potential threat to health. What part of the rules are applicable to my system? The General Binding Rules separate the applicable rules dependent on how a system discharges, whether this be a ‘Discharge to Ground’ or ‘Discharge to Surface Water’. The rules applicable will also be dependent on whether the discharge is classed as a ‘New Discharge’ or ‘Existing Discharge’. If your septic tank or sewage treatment plant was installed and discharging before 31 December 2014 you have an ‘existing discharge’. If your septic tank or sewage treatment plant was installed and discharging on or after 1 January 2015 you have a ‘new discharge’. Discharge to surface water. This refers to a septic tank or sewage treatment plant that has an outlet pipe that terminates at a watercourse such as a ditch, stream or river. A discharge to a surface water should only take place if the effluent being discharged is of a suitable quality. Septic tanks do not ‘treat’ sewage to the extent where the Environment Agency would permit a discharge to a surface water and it would therefore be necessary for remedial works to be carried-out in this situation. There are other determining factors as to whether a discharge to surface water would be allowed without an Environment Agency Permit, such as the volume of effluent being discharged, location of any SSSI’s and Nature Reserves etc. be from a system that is operated and maintained in accordance with the manufacturers instructions or general recommended practices. not be made to an enclosed lake or pond. Discharge to ground. This refers to a drainage field, which is also known as a ‘soakaway’. These are a network of connected pipes surrounded in washed stone and have perforation or holes in the pipes to allow effluent to disperse. The surrounding stone is used to trap the bacteria (micro-organisms) and fines solids, thus only allowing liquids to pass into the surrounding sub-strata. Drainage fields are typically used in situations where a suitable surface water is not available or if a septic tank system is being used. There are various rules that a drainage field will need to comply with to enable it to be compliant with the General Binding Rules. not be within 50 metres of a Special Area of Conservation (SAC), Special Protection Area (SPA), RAMSAR Site, Site of Special Scientific Interest (SSSI), and must not be in an Ancient Woodland. Local Nature Reserves and Wildlife Sites (aquatic in nature). These new septic tank rules were introduced in January 2015 and have provided a period of 5 years to be compliant, unless a discharge is causing pollution or if a property is sold. Therefore, all owners of septic tanks and small sewage treatment systems need to be compliant by January 2020, unless they already have a Permit to Discharge (previously know as a Consent). In situations where a Permit to Discharge is already in place no action will be required. How can I find out if my systems compliant? Not sure if your system complies with these new septic tank rules? Then give us a call on 01255 853890 or contact us here and we will be happy to help, and if needed, visit your property to assess your existing septic tank system.